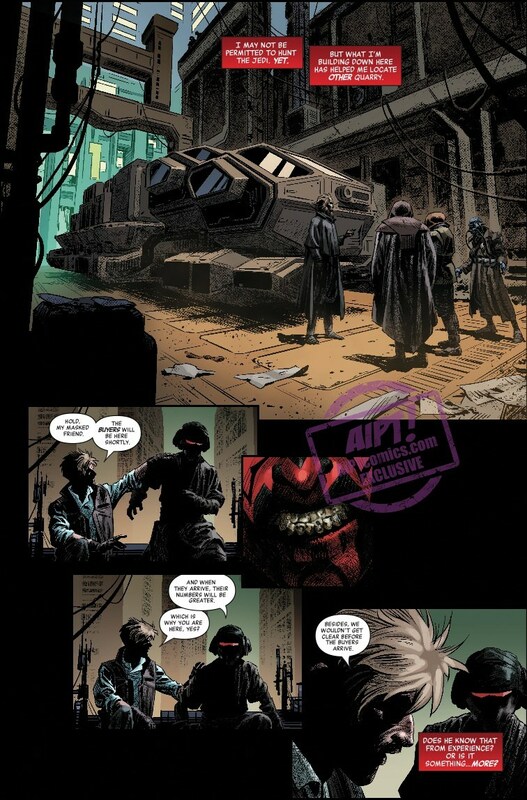 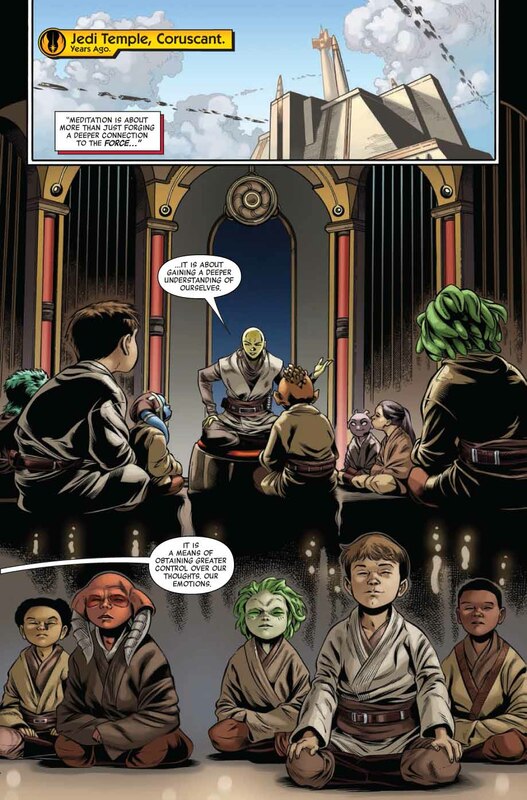 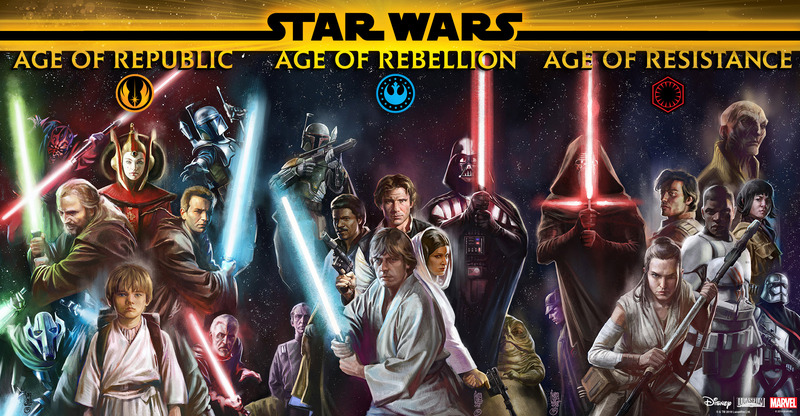 À partir de décembre 2018, Marvel débutera la publication de Star Wars : Age of…, un projet qui consiste en une suite de one-shots regroupés en trois sections centrées sur les périodes principales de la chronologie de la Saga des Etoiles. 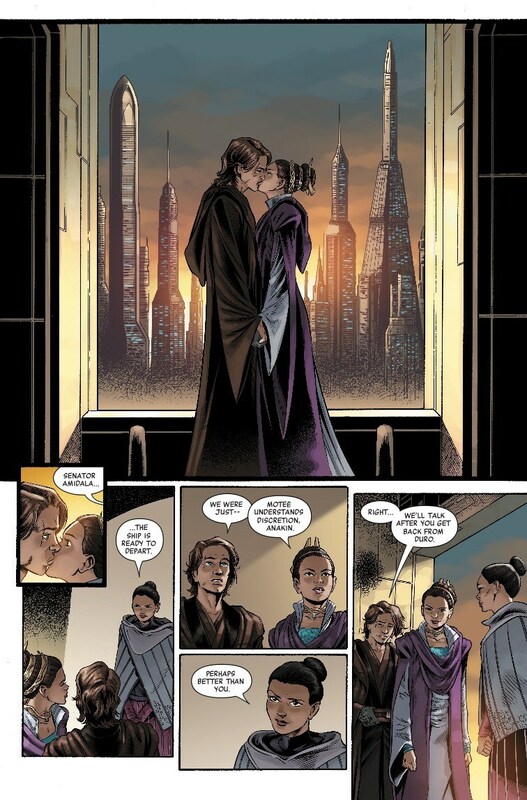 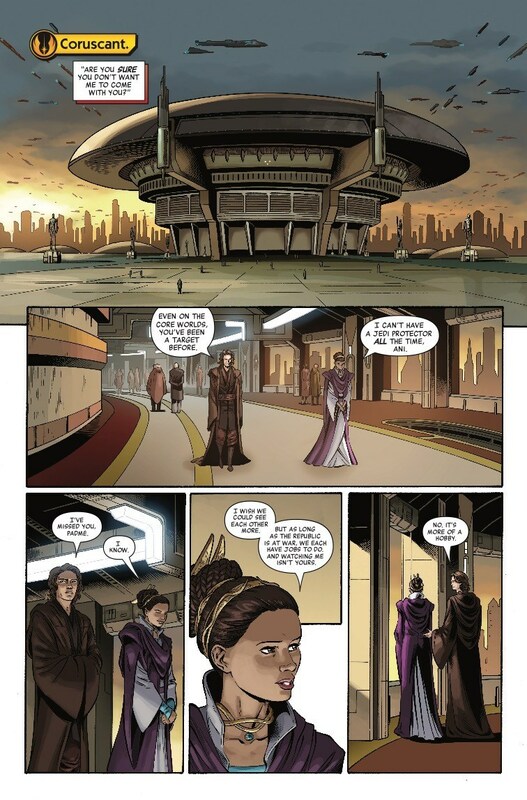 La scénariste Jody Houser (Rogue One, Thrawn…) ouvrira le bal avec Star Wars : Age of Republic, qui sera composé de 8 numéros publiés à un rythme bimensuel, en alternant une histoire sur un héros et une histoire sur un vilain. 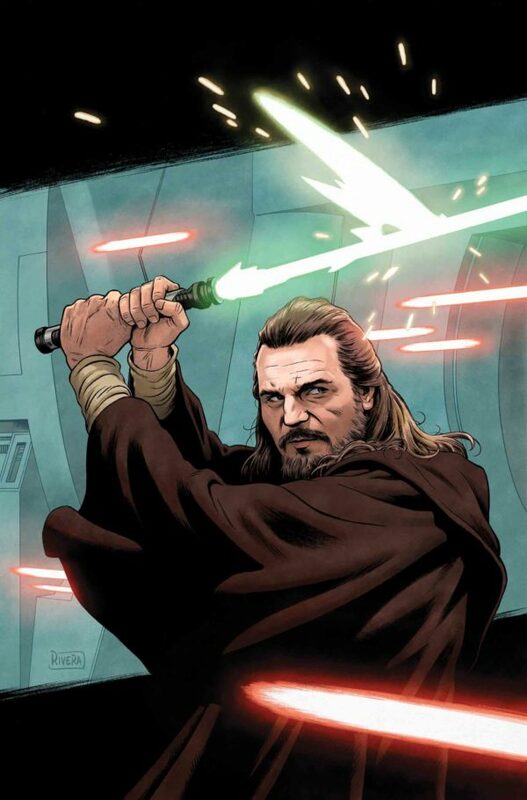 Dans l’ordre : Qui-Gon Jin, Dark Maul, Obi-Wan Kenobi, Jango Fett, Anakin Sywalker, Dooku, Padmé Amidala et le général Grievous. 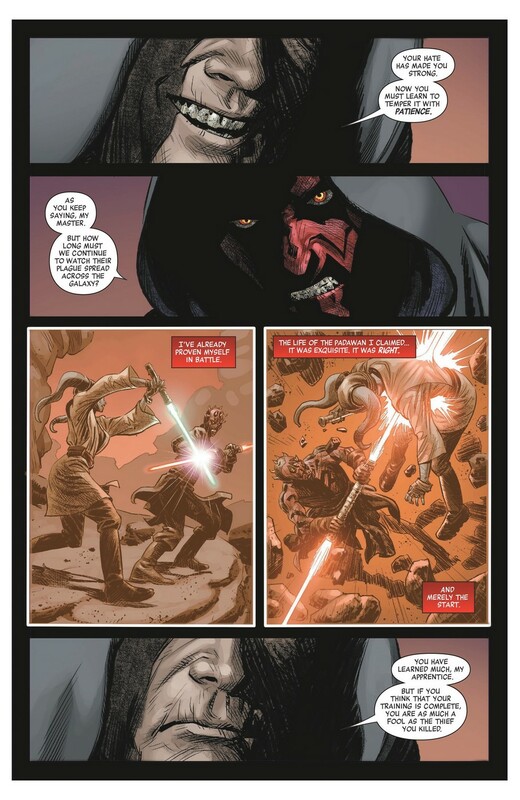 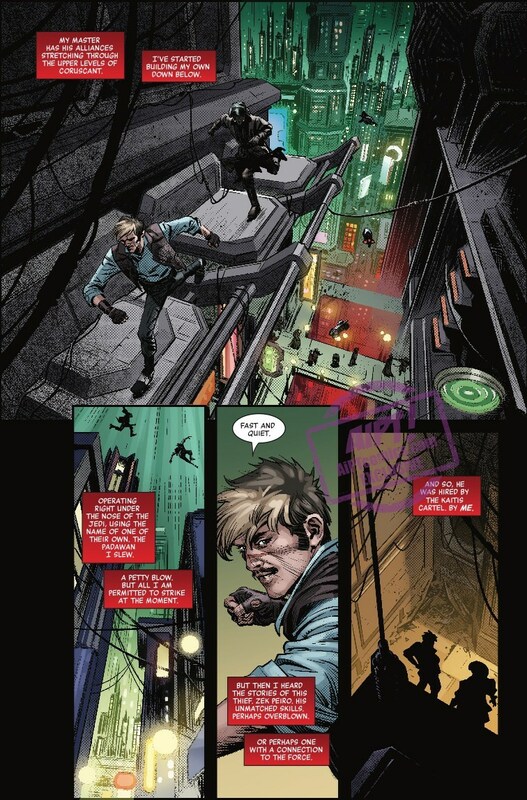 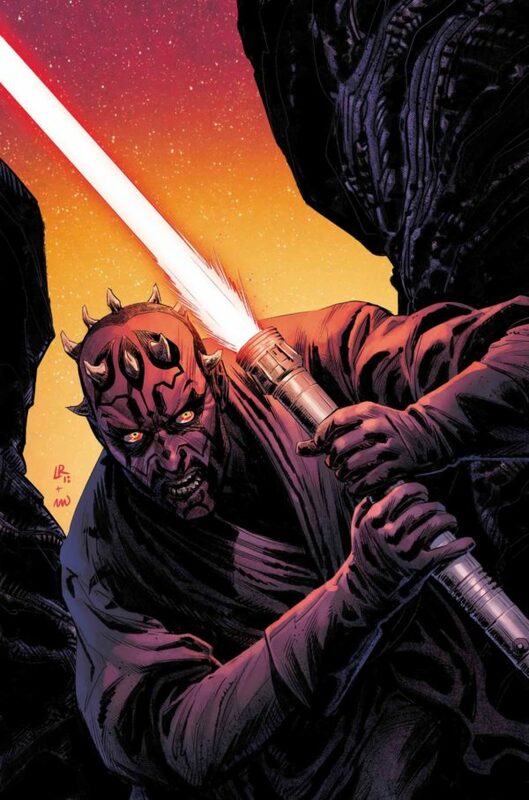 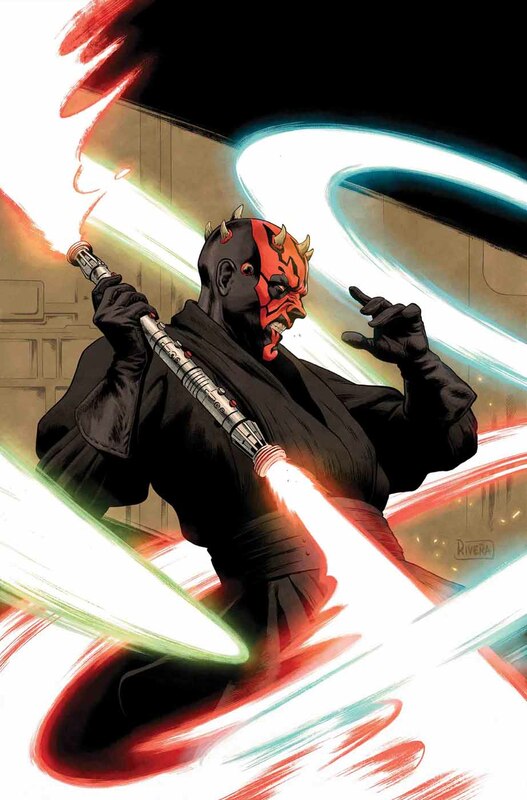 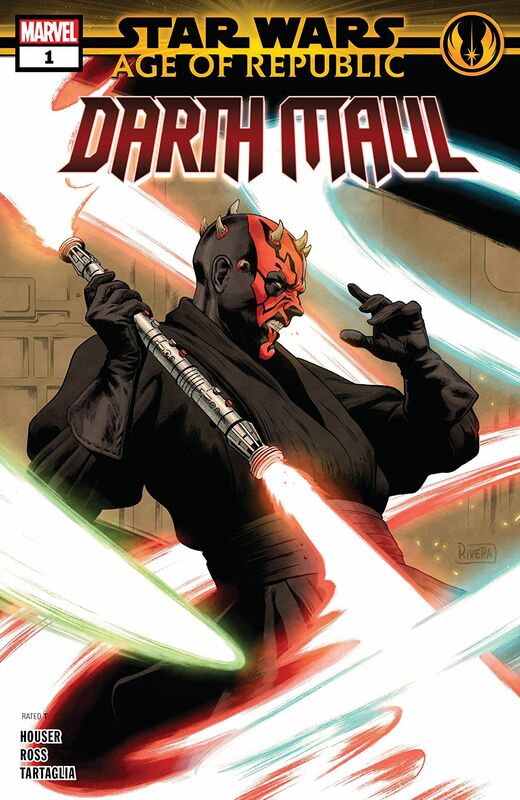 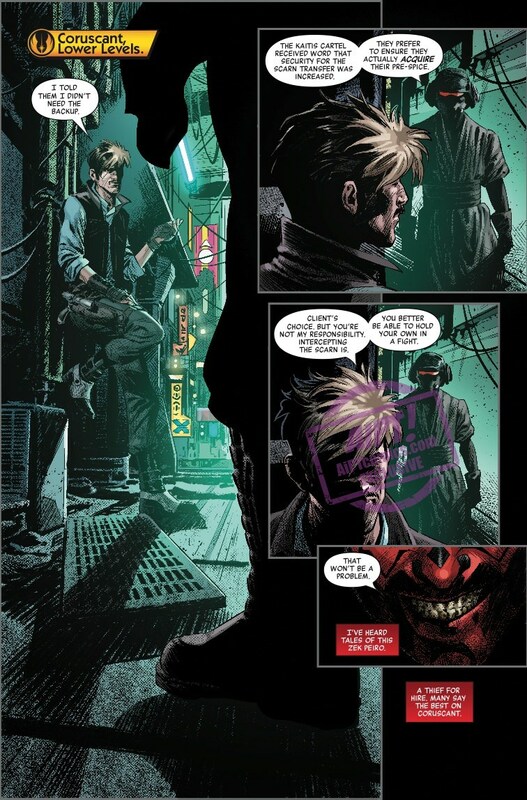 Les dessinateurs n’ont pas encore été révélés, à l’exception de l’épisode sur Dark Maul confié à Luke Ross (qui retrouve donc le personnage après la mini-série écrite par Cullen Bunn). 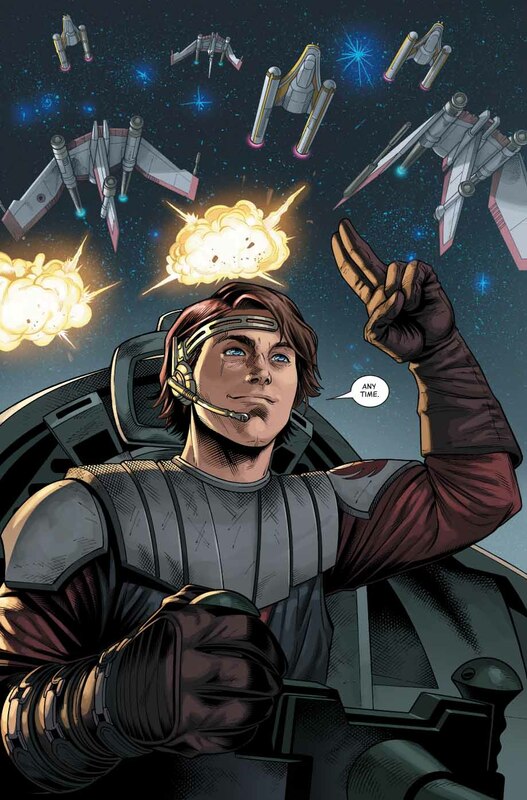 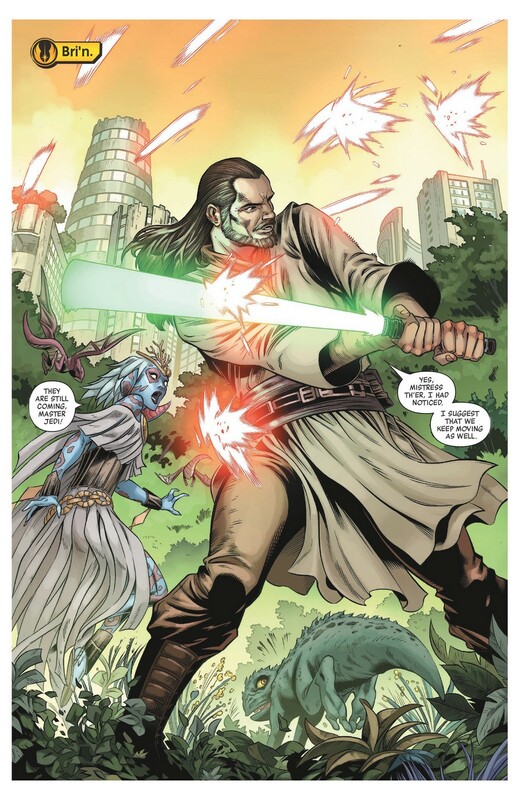 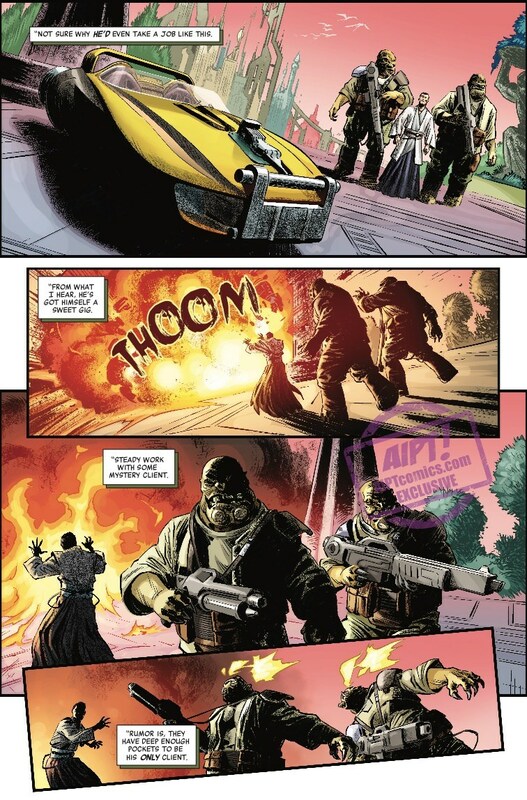 Après Star Wars : Age of Republic, il y aura Star Wars : Age of Rebellion par Greg Pak (Incredible Hulk) et Star Wars : Age of Resistance par Tom Taylor (X-Men Red). 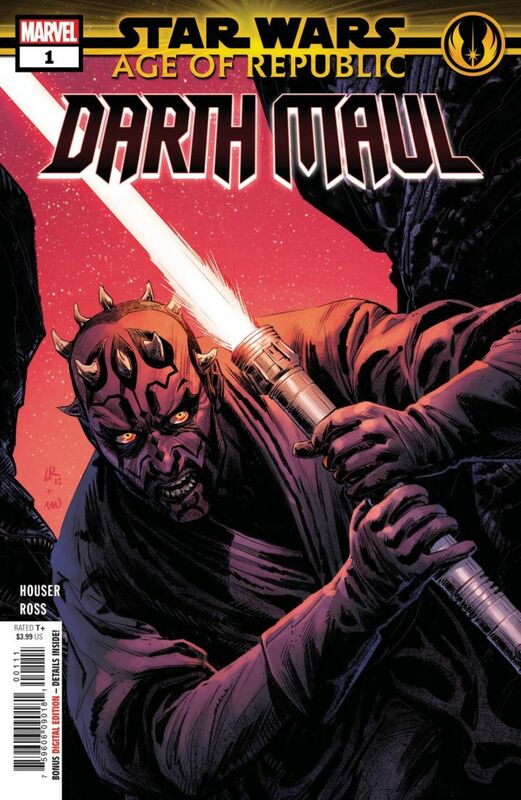 Cover by: Paolo Rivera, Iain McCaig, Rahazzah, Leinil Francis Yu. 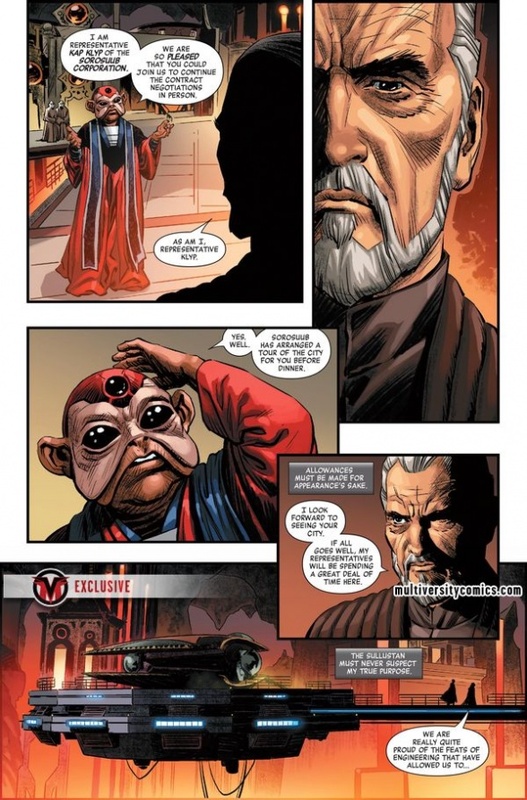 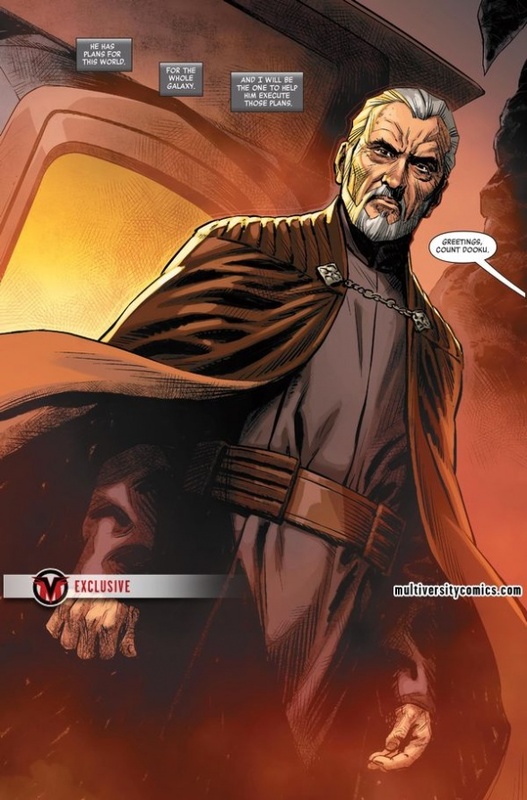 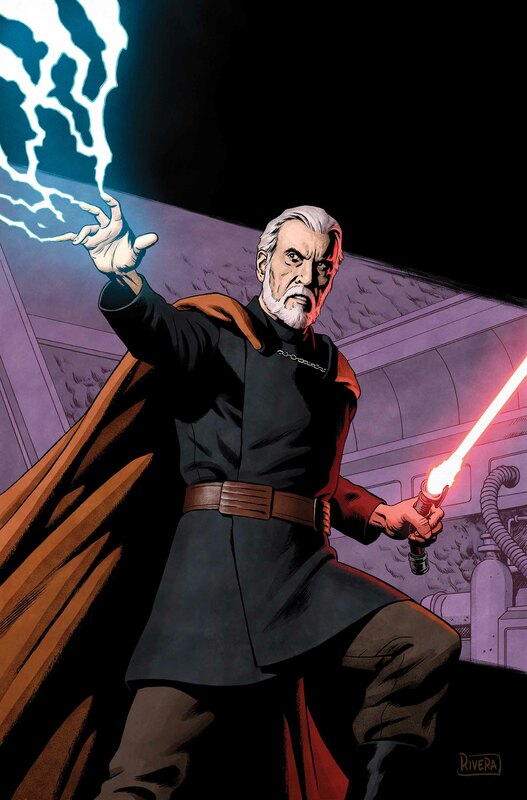 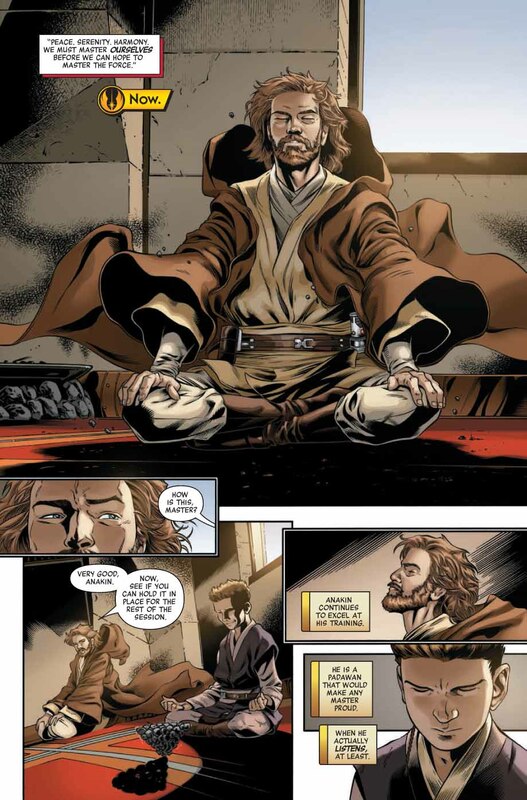 Description: Following the wishes of his master, Obi-Wan has taken on Anakin Skywalker as an apprentice. 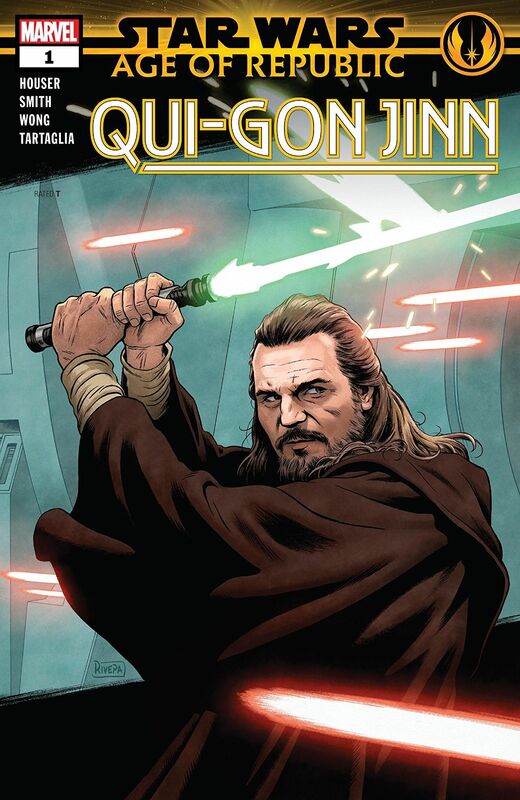 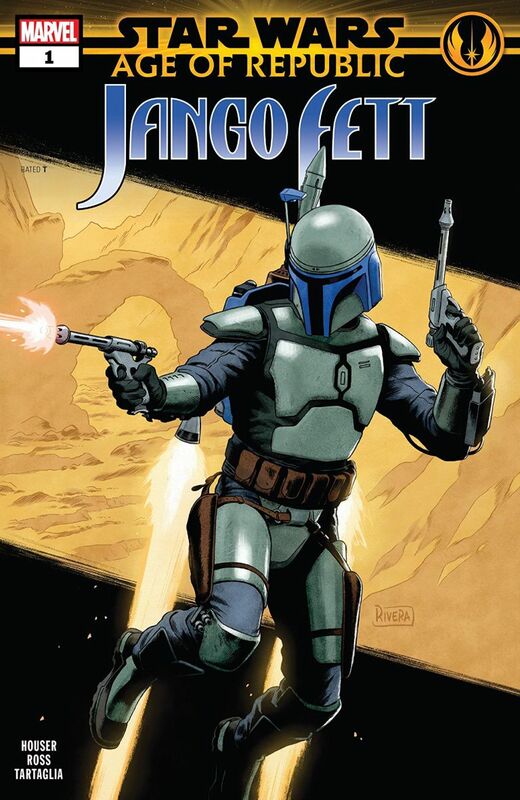 Will his mission alongside his young Padawan bring them closer together, or sow the seeds that will drive them apart? 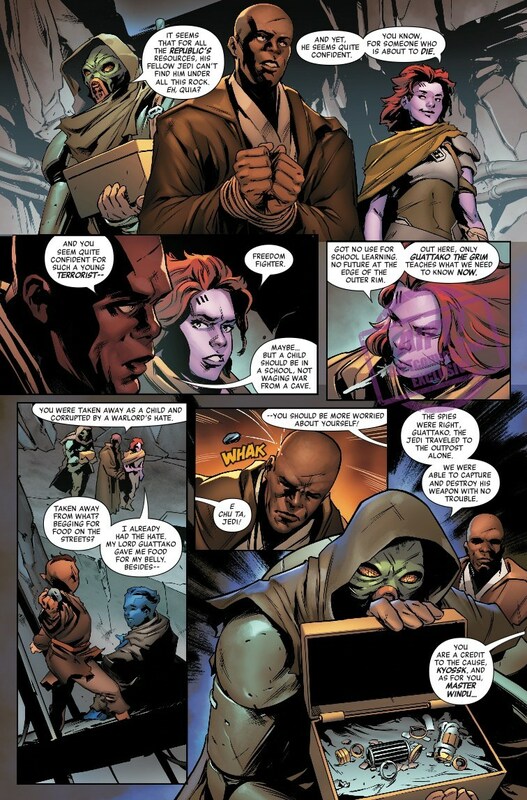 And who else is after the ancient holocron that they seek? 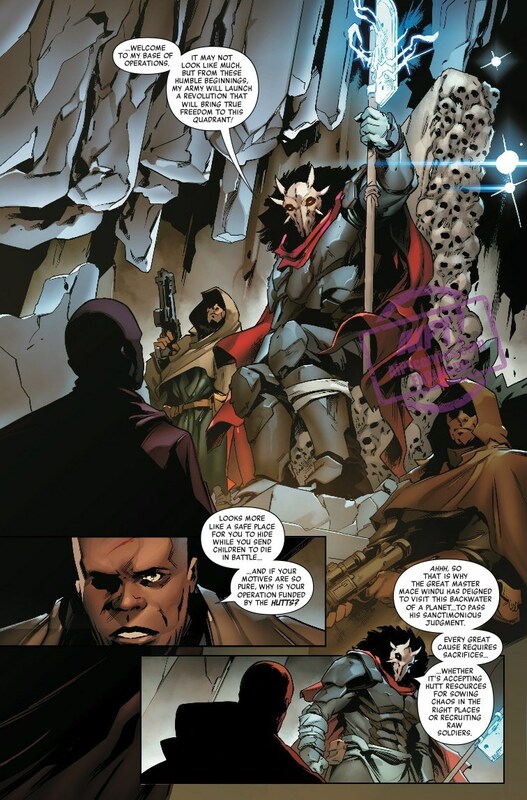 ça me rappelle l’époque Dark Horse. 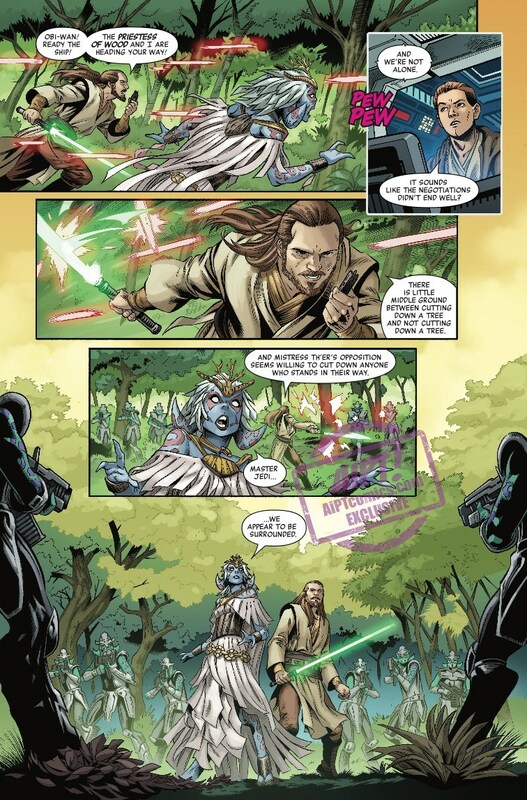 Three creative teams! 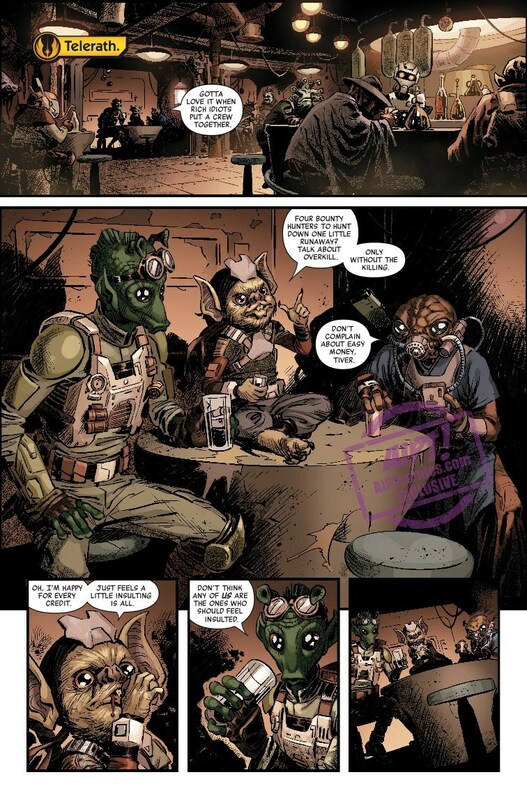 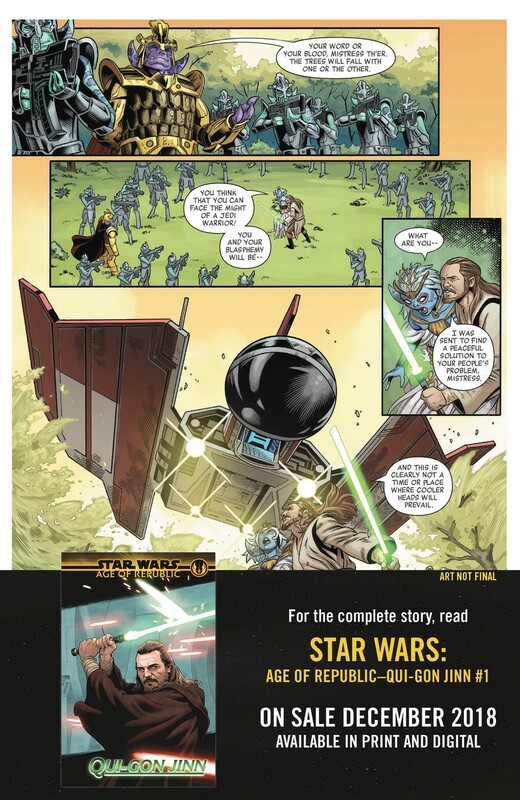 Three stories featuring your favorite Star Wars characters! 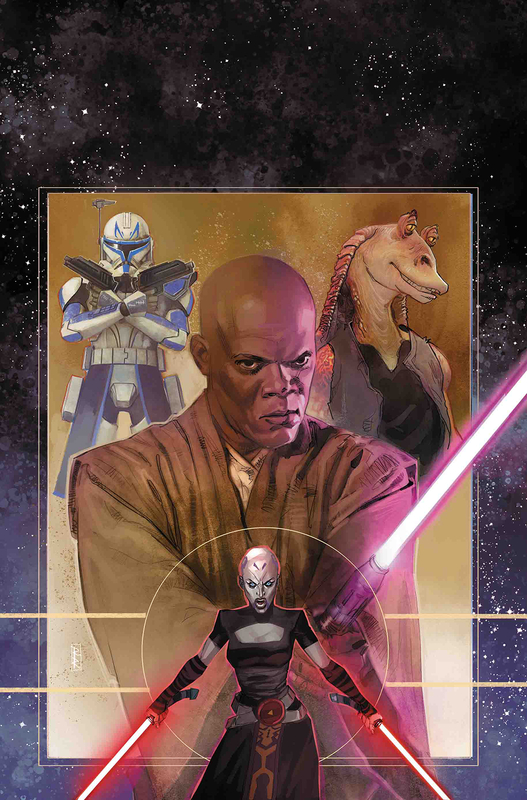 The baddest Jedi in the galaxy has a score to settle – MACE WINDU returns in an action-packed adventure from OLD MAN HAWKEYE’S Ethan Sacks! 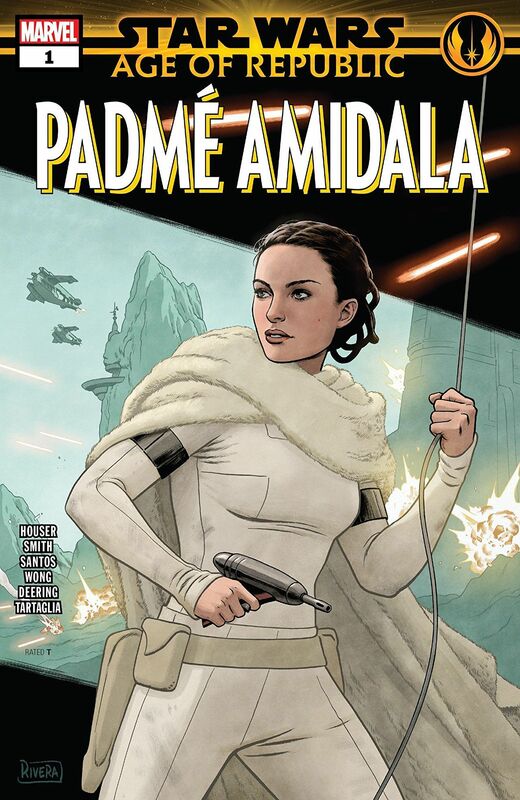 Cover by: Paolo Rivera, concept. 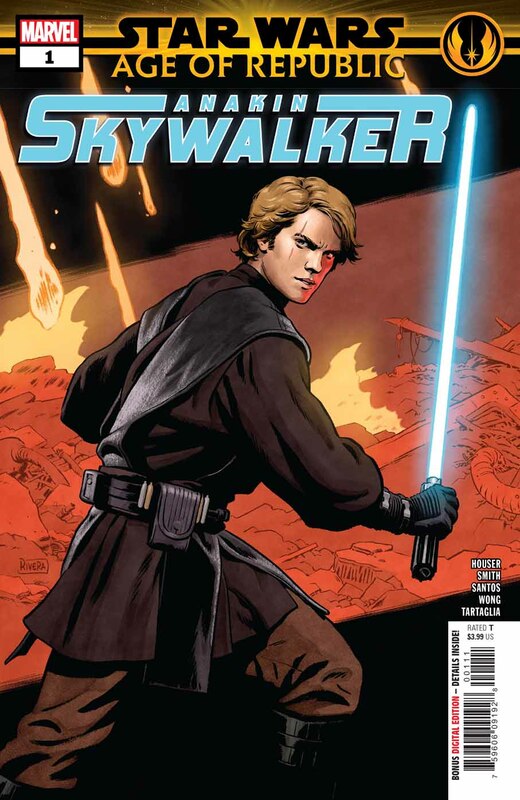 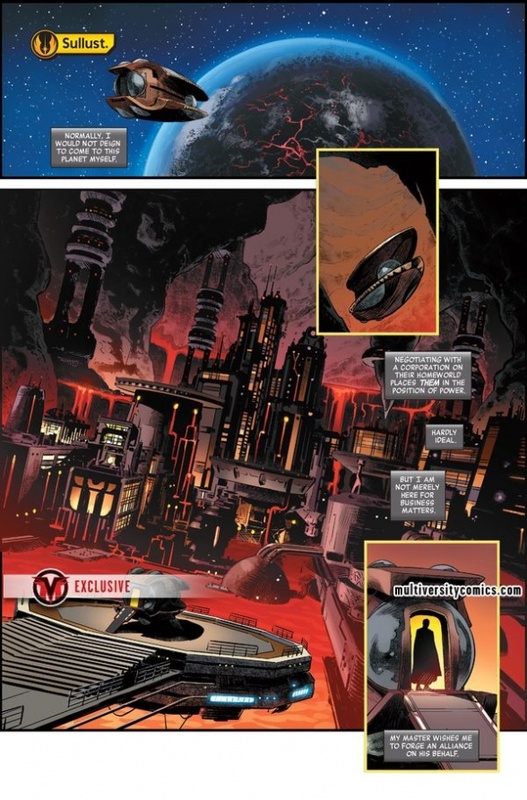 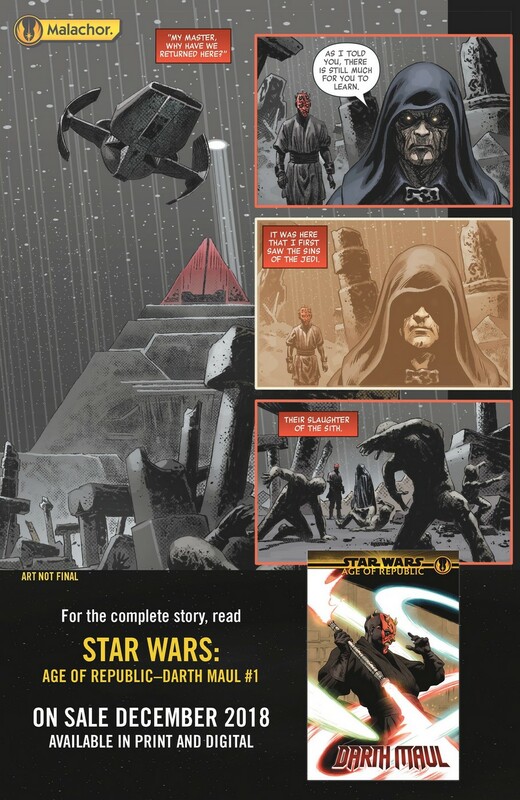 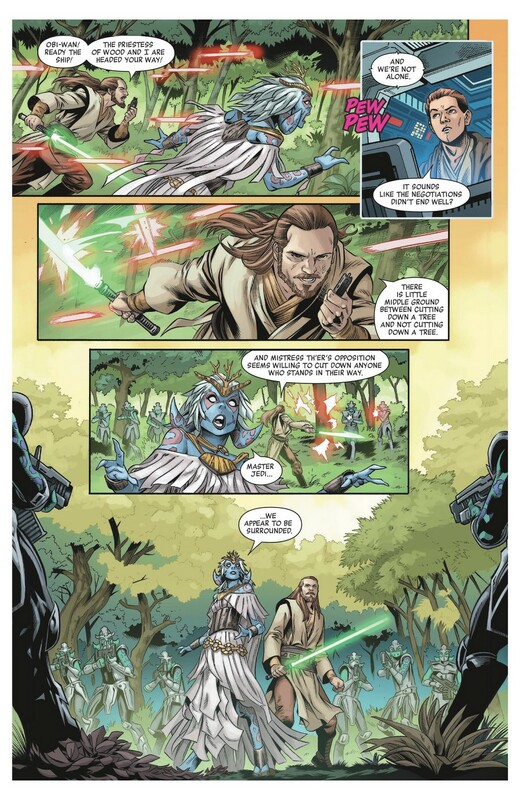 Description: An untold Anakin adventure from the heart of the Clone Wars! 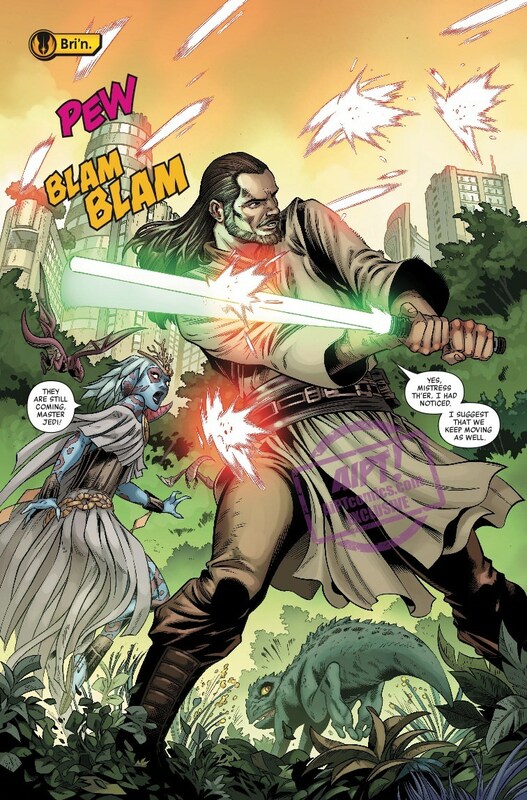 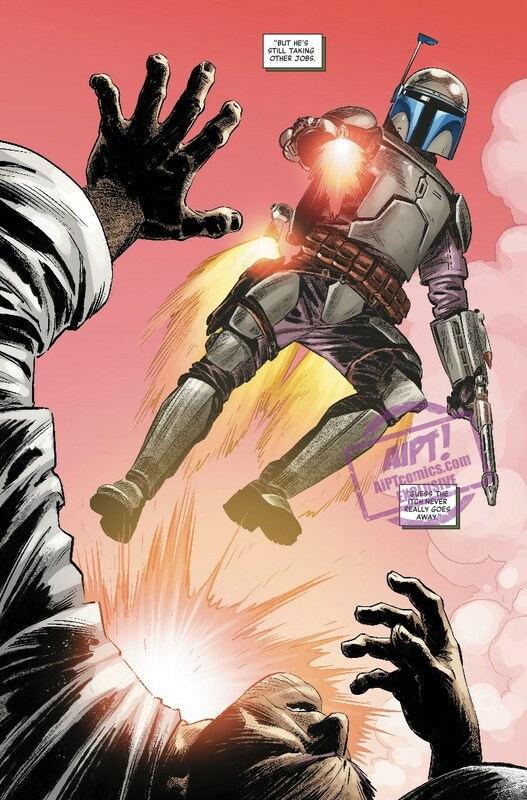 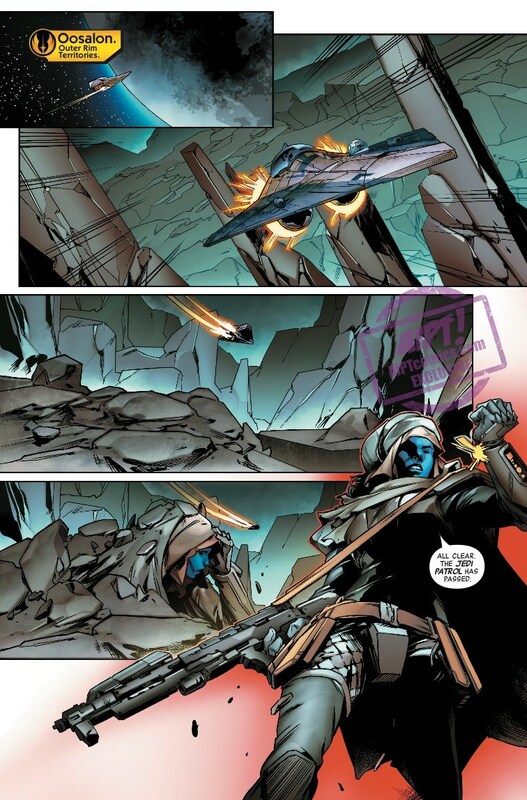 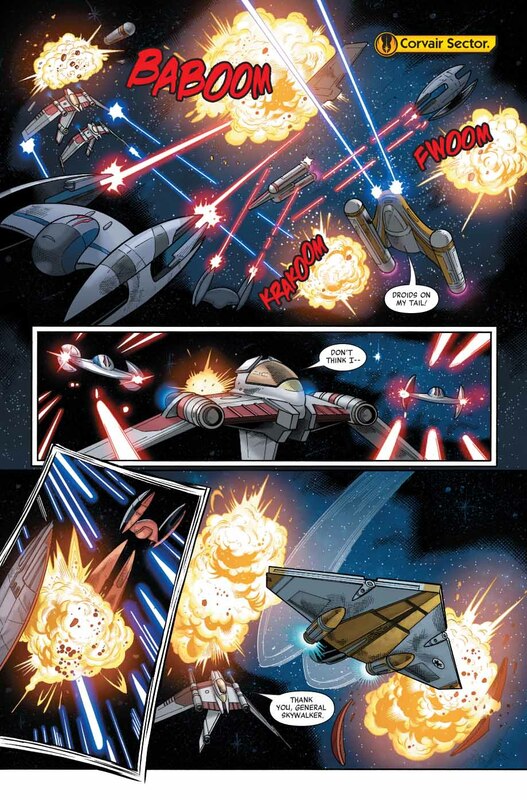 A chance to strike a devastating blow to the Separatist cause comes with a high cost. 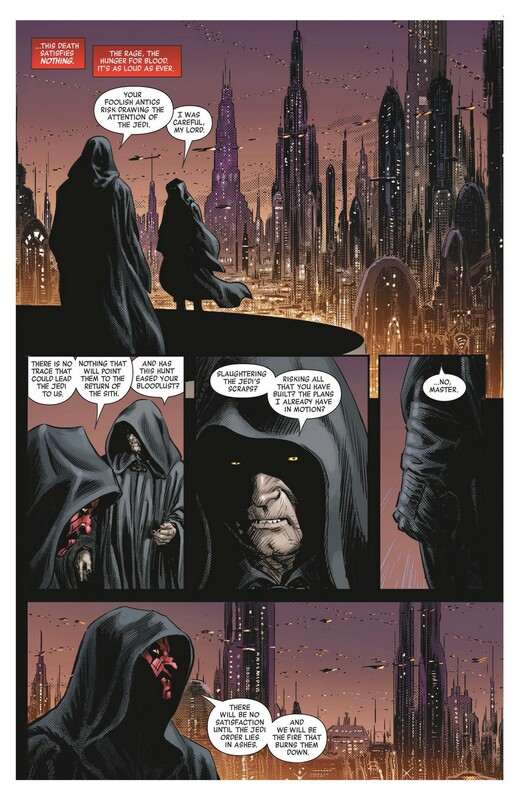 Will Anakin choose the darker path, or hold true to the Code of the Jedi? 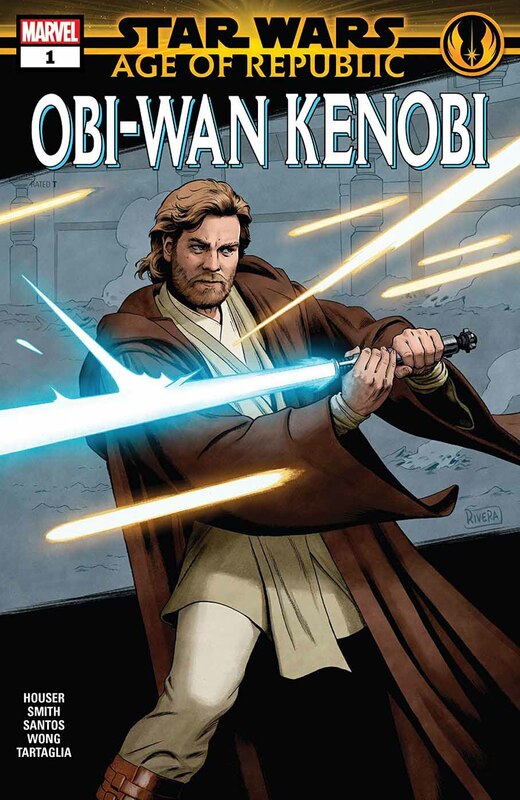 Guest-starring Obi-Wan Kenobi.